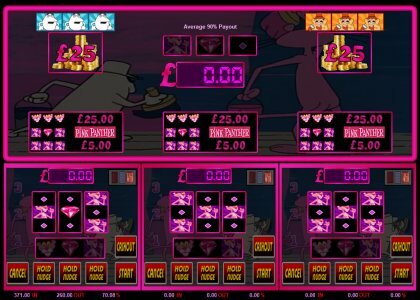 A UK 3 player style game with a Pink panther theme and £25 Jackpot with a 90% payout average. Features usual holds, nudges, holds after nudge. When main feature is triggered, the top reels are played until a losing spin is spun. With 3 ways to win a jackpot from feature spins, jackpots are more frequent from the feature than on the base game. Once payment has been made please request your game code via email to activate your game fully. Game updates and codes are sent out as soon as possible.